- The A7200/A7202 is a NO DRILL APPLICATION and must have a factory installed upper overload. -Will not work in conjunction with SuperSprings. -Due to factory overload engagement design, some applications have progressive engagement, where rear springs will contact first. -Drilling of rubber pad on some older Dodge applications may be required. Depending on the vehicle model, suspension package and condition, actual distance between the StableLoad and vehicle frame overload contact bracket may vary. 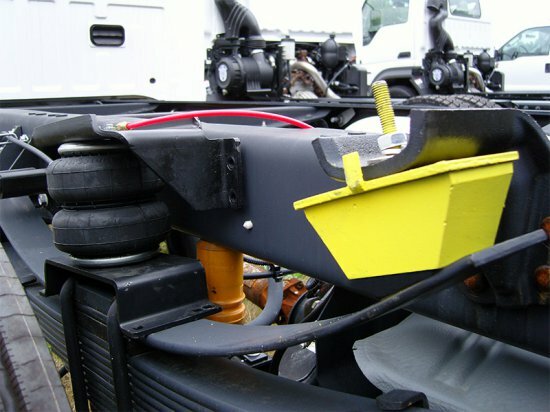 In some rare instances, when the vehicle is not carrying a load, the StableLoad may come into contact due to rough road conditions and other anomalies. -(A7201 Spacer kit) is available for vehicles that need additional spacing for the StableLoad to contact the overload spring.